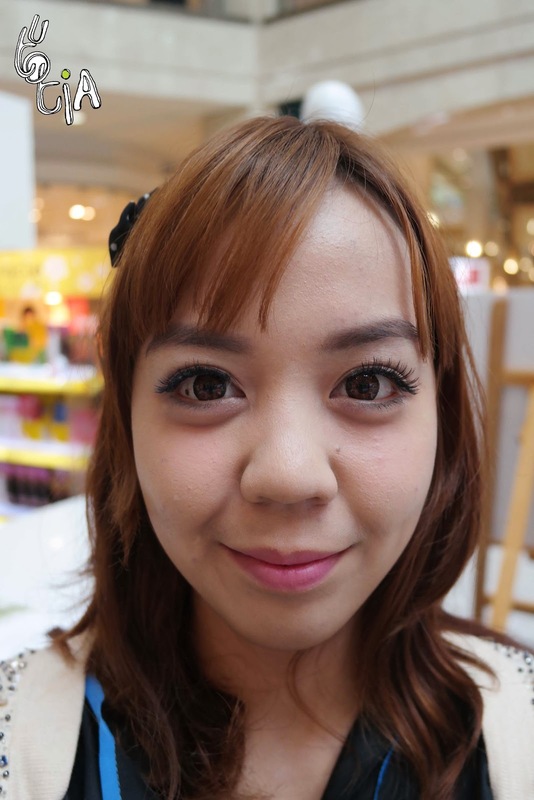 On 23-26 of January 2014, I participated in an event called Japan Beauty Week (JBW). 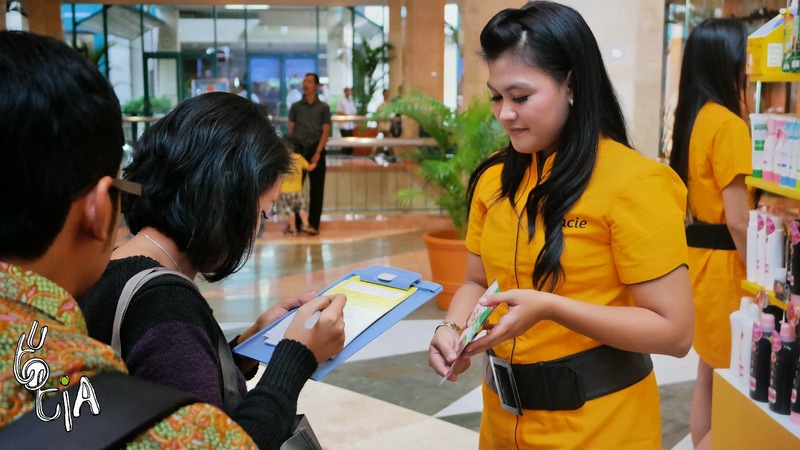 It was held in Atrium Plaza Senayan for four consecutive days. 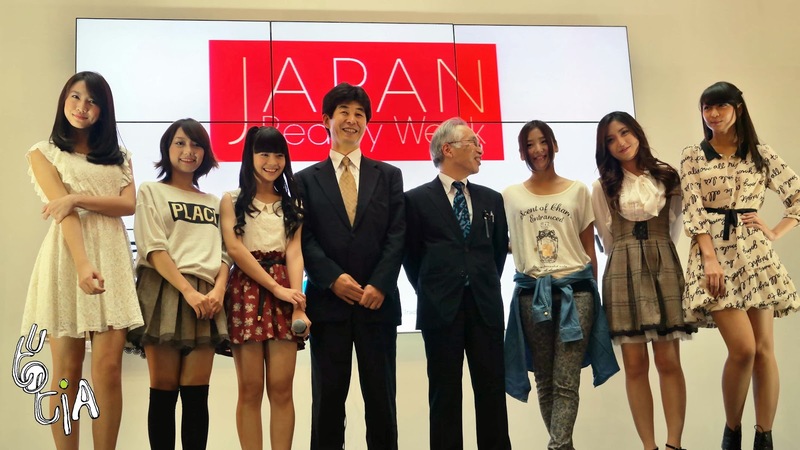 JBW is an event sponsored by Japan Ministry of Economy, Trade, and Industry (METI) which has 6 exhibitors; Astalift, Hada Labo, Kanebo, Kracie, Menard, and Panasonic Beauty. 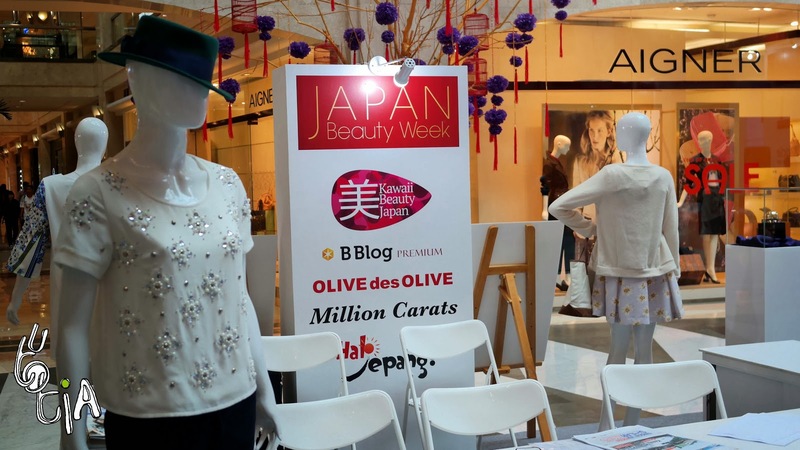 The aim of JBW is to increase Indonesians awareness towards Japanese cosmetics. 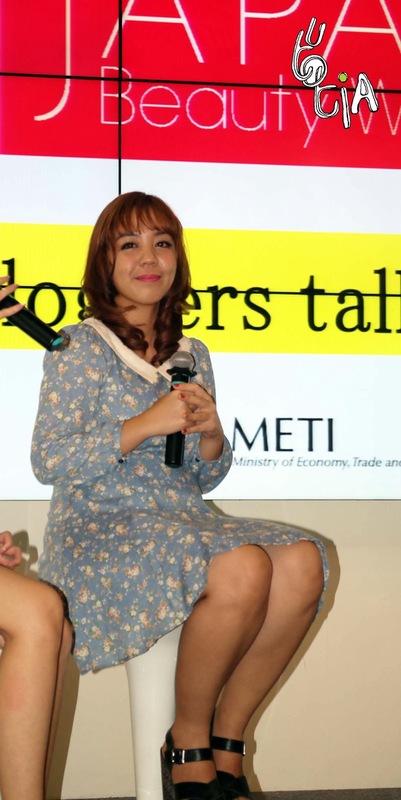 On the first day, there was an opening ceremony by METI and Japanese Cosmetics Industry Association (JCIA) representatives. There was also a fashion show and mini talkshow with 6 members of JKT48, their wardrobe is by Olive des Olive. Still on the first day, there were seminars by Menard and Rohto, followed by Reception party. The next 3 days filled with various activities such as workshop, makeup demo, and talkshow by the exhibitors and organizers. 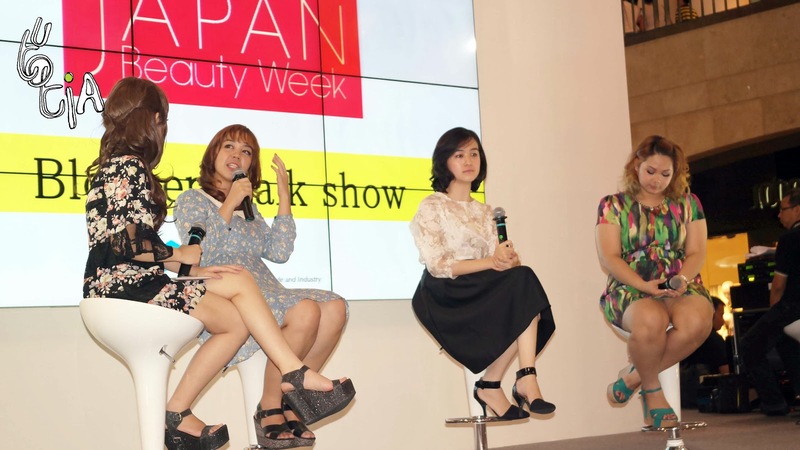 What I really want to share to you is me being speaker in Japan Beauty Week. 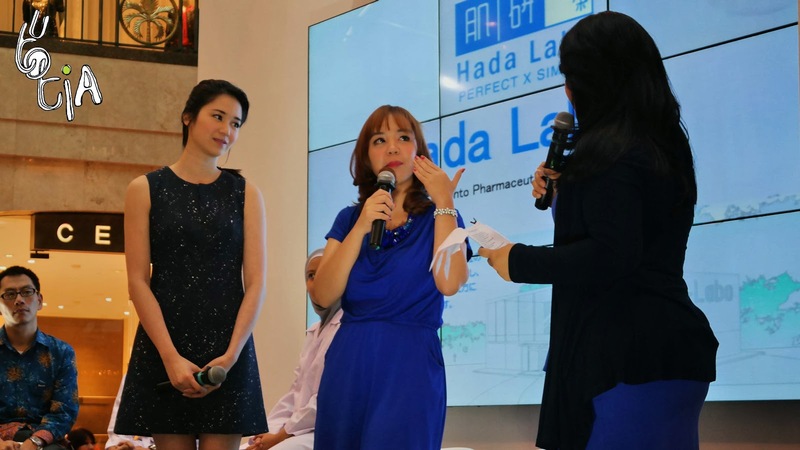 I spoken three times; twice for Hada Labo and last one was for Panasonic Beauty Bloggers Talkshow held by the organizer. On Friday, 24 Jan 2014 I went on stage along with Furuya Akiyoshi-san; VP PT. Rohto Laboratories Indonesia, Devi-san and Fujiwara-san from Research & Development department. 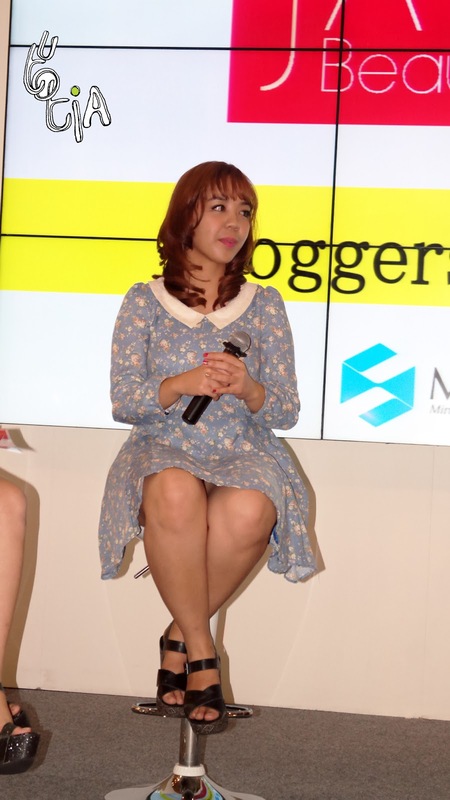 I was talking about my experience in using Hada Labo products as a beauty blogger. Kinda nervous though it wasn't so many people around (haha!). 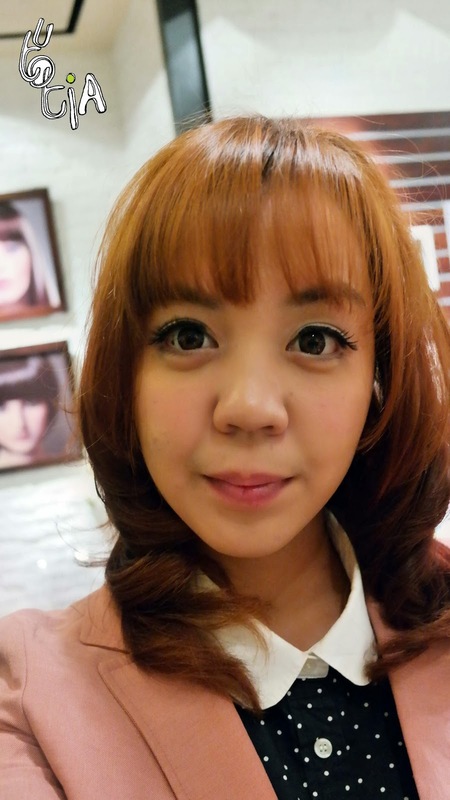 this lovely lady from Oscar Blandi Plaza Senayan is highly recommended, everyone compliment my hair! And this is how I looked like after styling at Oscar Blandi. And surprisingly, I had the talkshow with Laura Basuki! 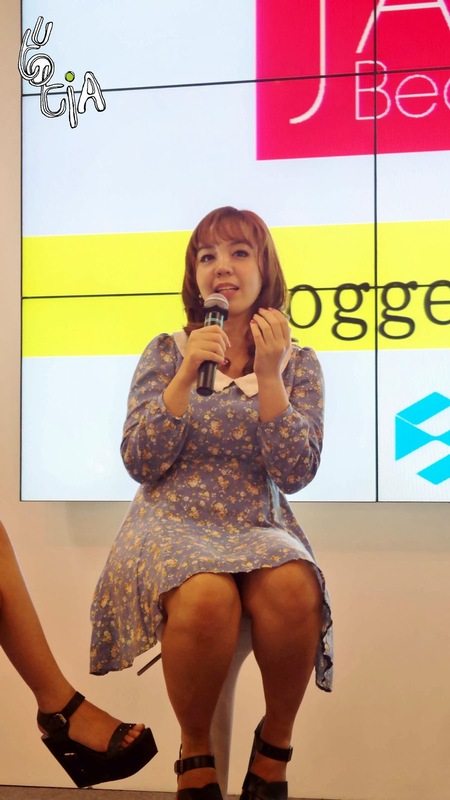 And on the last day, I talked with other bloggers on Bloggers Talkshow with Panasonic Beauty, thanks to Kawaii Beauty Japan. 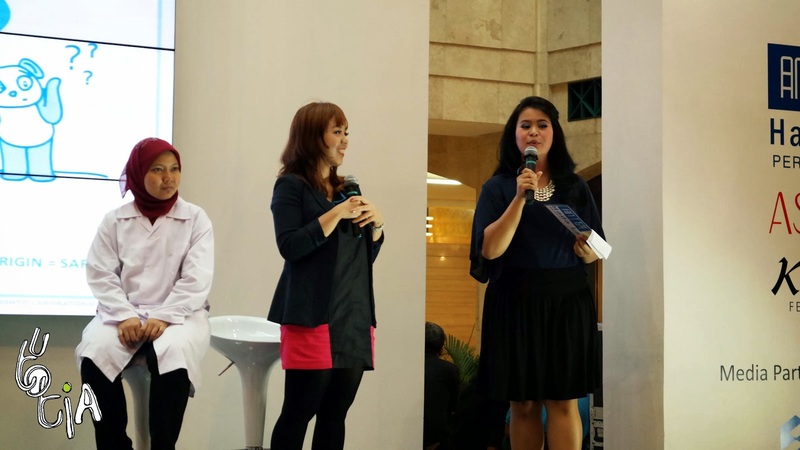 The speakers are; Me as a beauty blogger from Kawaii Beauty Japan, Marcella Caroline from carolsletters, and Ochell from Polish Wonderland. MC: What's your skin type? Me: My skin type is combination. It's oily on T-Zone, but dry on U-Zone. MC: What's your skin concern? Me: I am deeply concerned with acne and water retention. Ever since I spend more time in air-conditioned room (office), I experience dehydrated skin, especially in the U-Zone. Thus, skin around that area become more sensitive, resulting in acne. MC: Can you tell us your skincare routine (step by step, in general)? Me: It's a bit long. So I start with double cleansing; cleansing with cleansing cream first to remove makeup dirt, then followed by washing. I created foam ball for washing. After that, I apply lotion (or toner in Indonesia) and dab it lightly. Next, I put on serum (it depends on my current need, sometimes pore control, sometimes Vitamin C). Then eye cream, and last is moisturizer. If it's day, I put on foundation/BB Cream with sun protection. MC: Are you using beauty appliances? What beauty appliances are you using? Me: Yes, I am using hairdryer, curling iron, tried electric eyelash curler once. MC: Why do think woman need to use beauty appliances? and how it helps woman be more beauty? 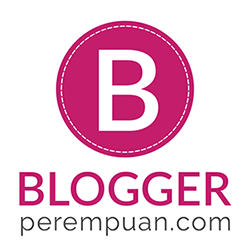 Me: I think woman need to use beauty appliances because it ease up their life, especially beauty related ones. With beauty appliances, for example, hair drying is faster, hair styling is easier and can be done by ourselves with no need to go to salon. Especially for career woman like me, I have to stay beautiful even in my busiest time. MC: Are you using Hair Dryer? When do you usually use it? Me: Yes, I usually use it in the morning before I start my activities and on special occassion like party, hang out, etc. MC: For woman "Hair is Her Crown". 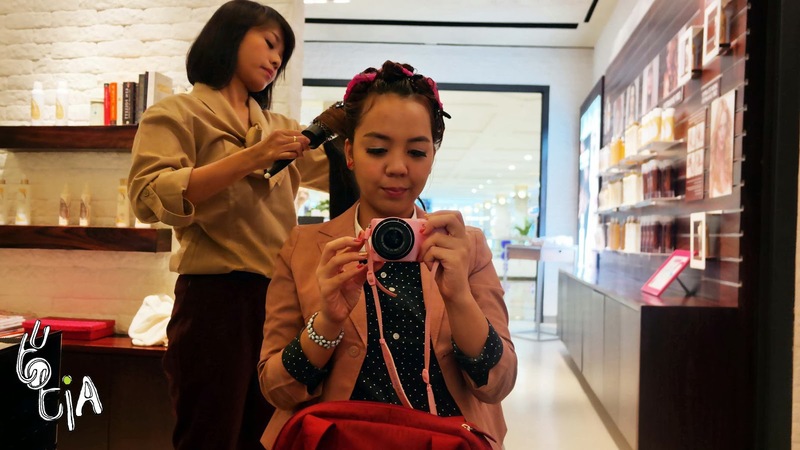 From your experience, do you have suggestion of how using hair dryer but keep the hair healthy? 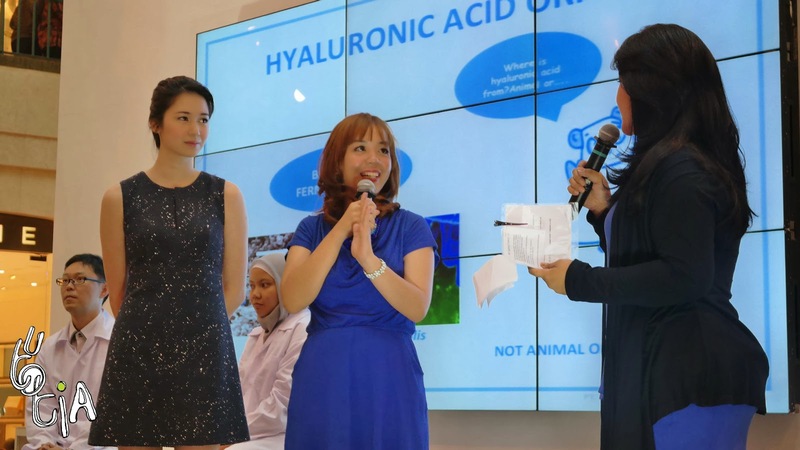 MC: In addition of using Skin Care, do you also use Beauty Appliances such as facial steamer, face hair ionizer, or pore cleanser to keep your skin healthy and moisturized? Me: No, but I'm curious in pore cleanser. It's because I have enlarged pores, so I think it might help and also faster (since it's electric). MC: Have you ever know Japan technology "Nanoe"? 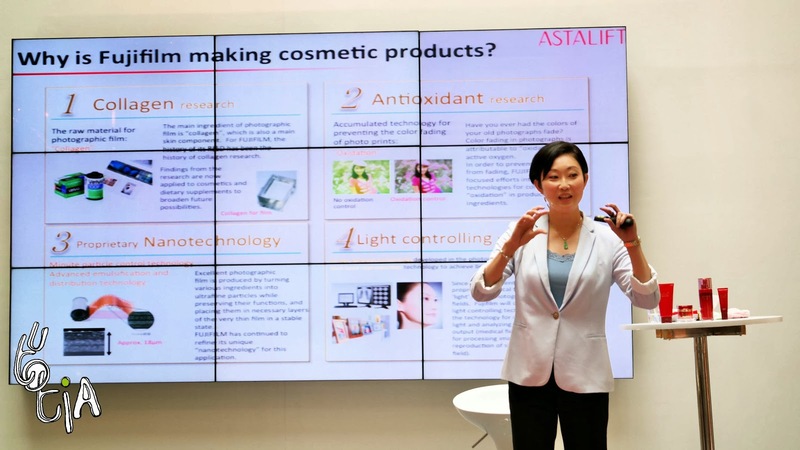 How do you think if it applied in Beauty Appliances? Me: Yes. 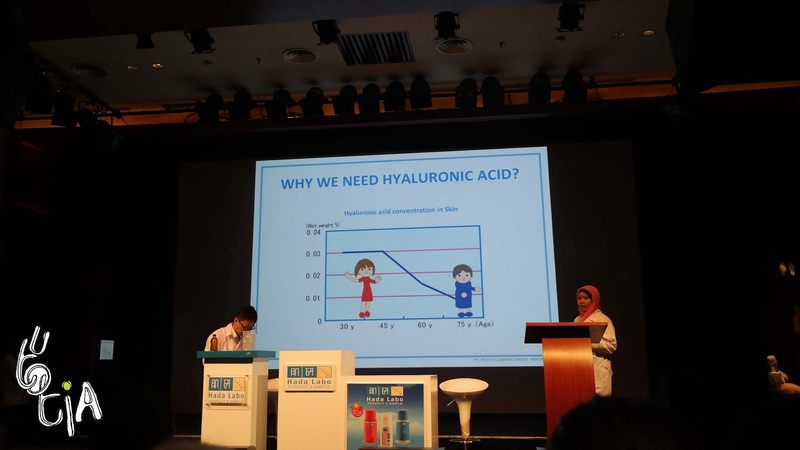 I've heard that it's a technology developed by Panasonic to produce nano size electrostatic water particle which is atomized. Sounds too difficult, eh? In short, it creates moisturized steam for healthier hair and scalp. When we dry our hair using ordinary hairdryer, it dries our hair and make our hair dried and dehydrated. Causing our hair becomes more fragile, which causes hair loss. 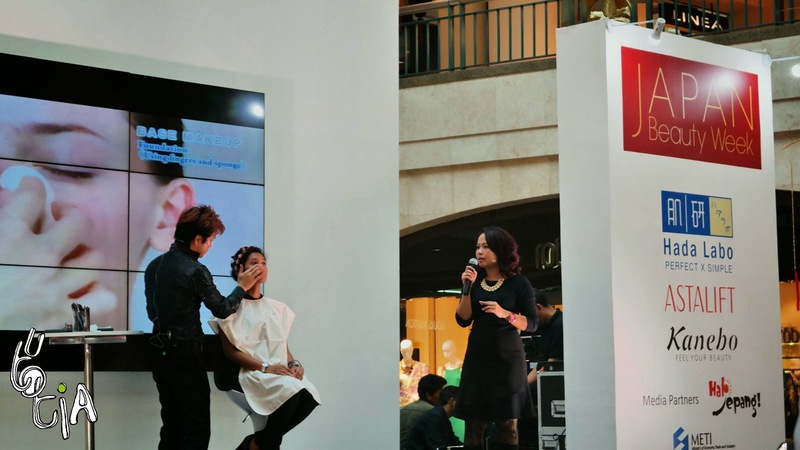 With Nanoe technology, our hair will be dried, but the final result is our hair will be moist and hydrated (not wet). It, of course, will lead to healthier hair and scalp. After all, it's such a nice experience being there and meet new people. 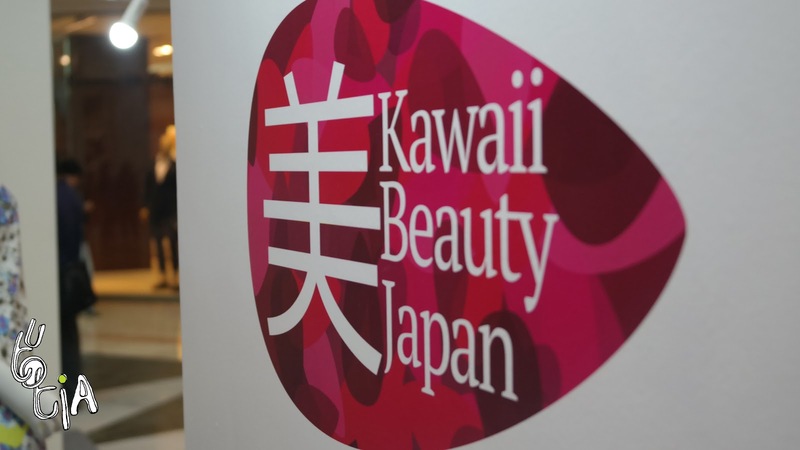 Thank you Kawaii Beauty Japan for having me as speaker for Japan Beauty Week Bloggers Talkshow. See you on next events, everyone!